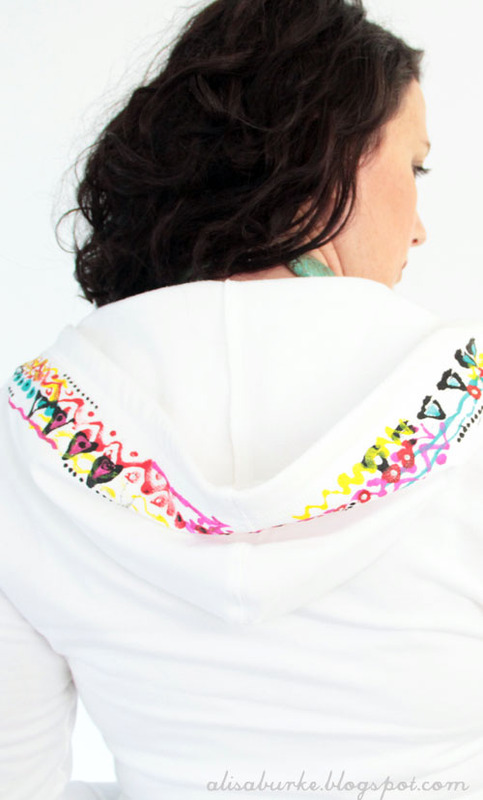 I love decorating and embellishing t-shirts and hoodies and recently I had the bright idea to embellish just the hood of a hoodie. 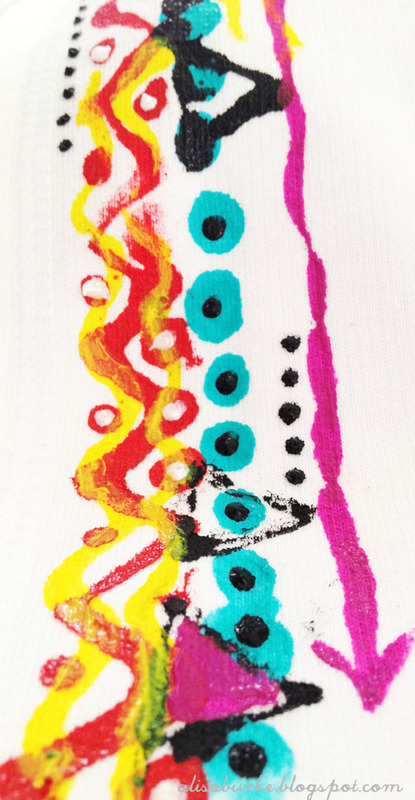 A simply but fun way to add a little color and fun to a plane sweatshirt! 1. 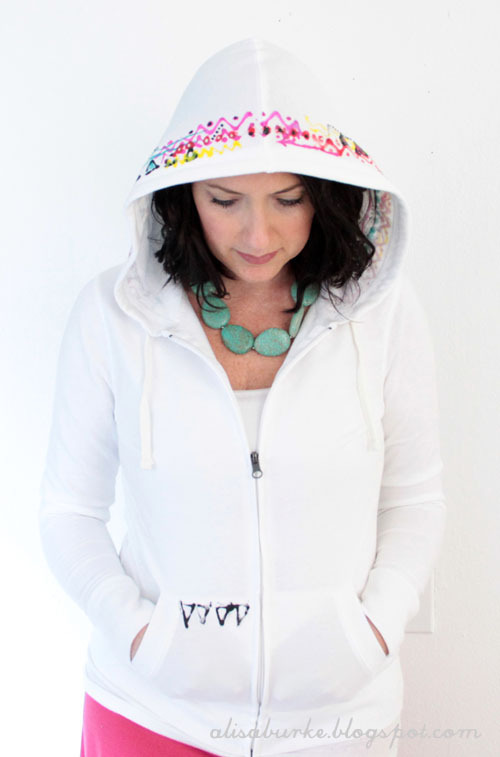 I started with a plain white sweatshirt. 2. 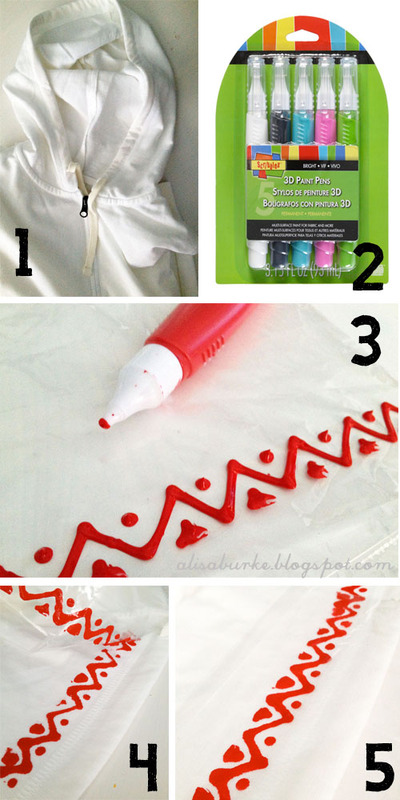 Next I pulled out my Scribbles 3D Paint Pens- think puffy paint in a pen! 3. 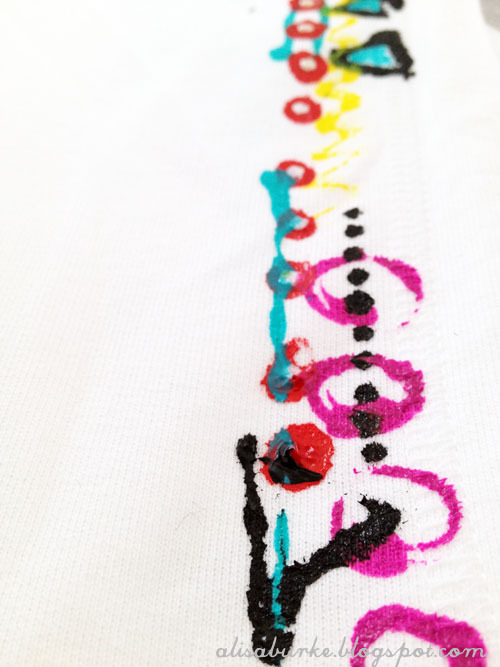 Instead of directly applying the paint to the sweatshirt I used a printmaking inspired technique- Using a plastic bag, I applied the paint directly to the surface of the plastic bag (I drew a simple geometric design). 4. 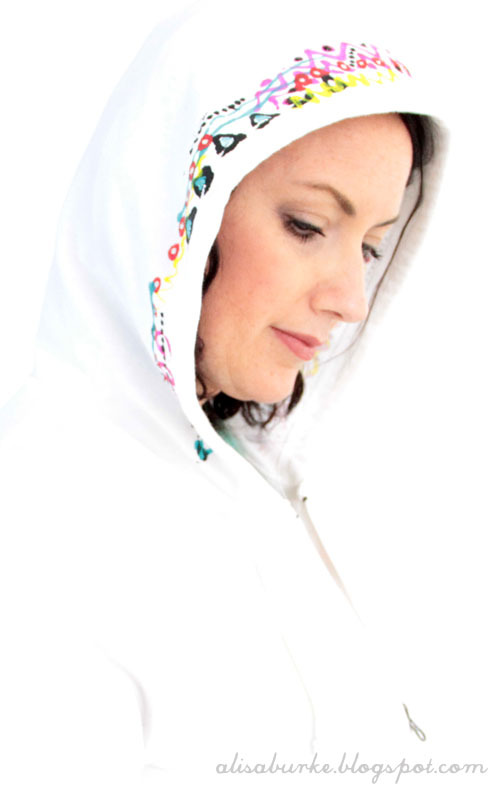 Then I pressed the plastic bag and the paint onto the surface my hood and pulled the bag away (this is a great way to keep the paint "less puffy" and at the same time get a good clean print of your design). 6. Then I started adding layers so I grabbed some of the Tulip 3D Paint and began printing more designs. 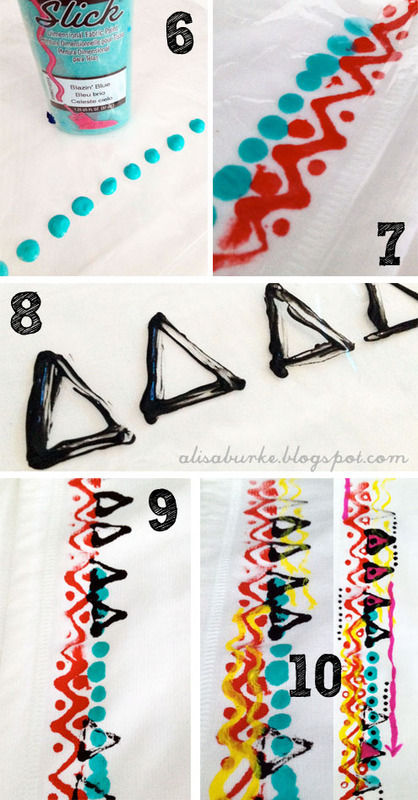 (I wanted layers of funky and colorful geometric designs but you could create just about any type of design) 7. I added dots. 8. Triangles. 9. And layered things on top of each other. 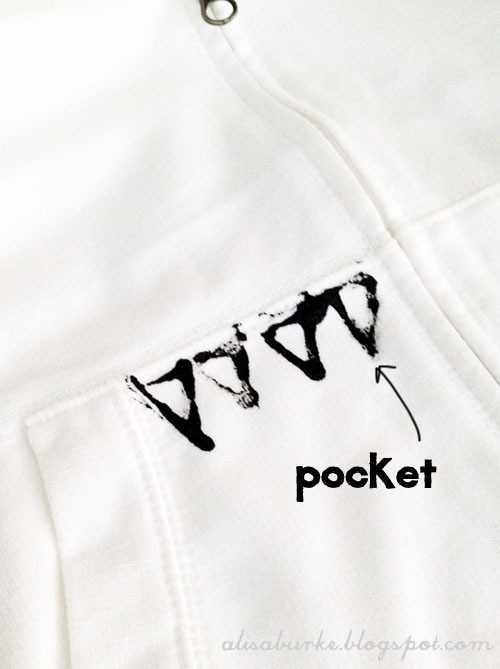 I couldn't resist adding a few little triangles to the pocket just for fun. 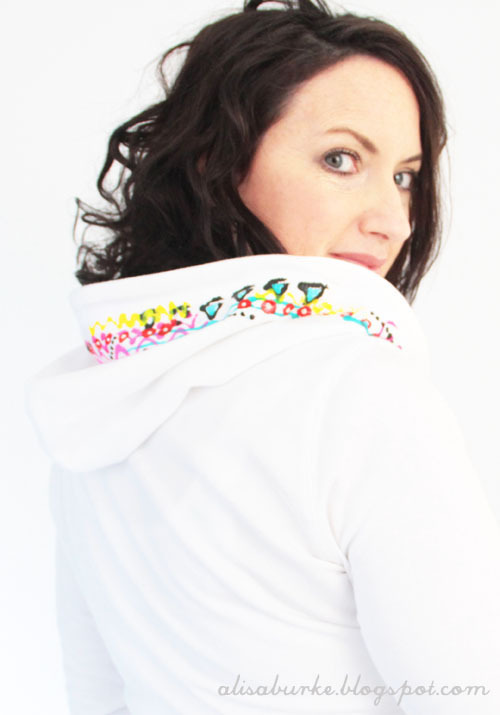 The result is a bright and colorful embellished hoodie- perfect for a summer evening! Stunning and the photos are stellar, as usual!